The FIAT Croma is back. 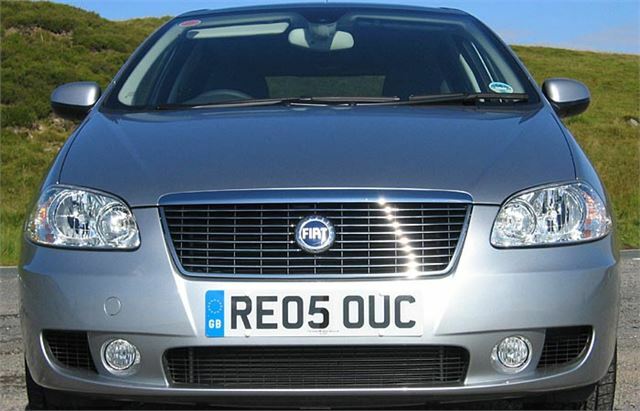 And, knowing full well there was no way it could sell an ordinary car in a market stuffed to the gills with Mondeos, Vectras, Mazda 6s, Lagunas and Avenses, to name but a few, FIAT has come up with something different. 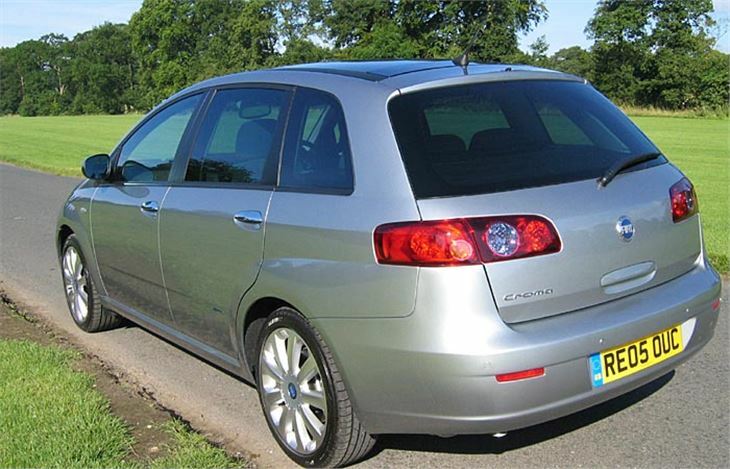 “A cross between an estate car and an MPV at a hatchback price” sort-of sums it up. It’s a bit taller than the norm, so you sit slightly more upright. It’s easier to get in and out of. 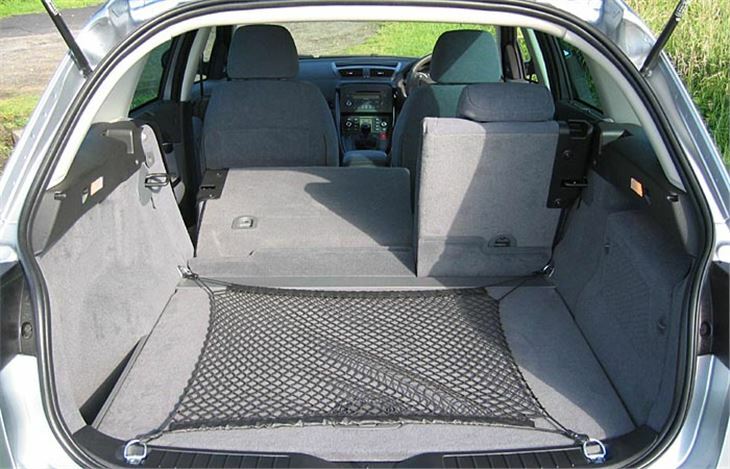 You can almost ‘walk into it’ like you can with a Ford C-Max. 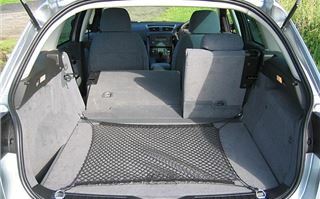 And it’s very comfortable, for up to five 6’ adults with all their luggage. Plenty of leg, head and shoulder room, front and back. Smaller than the Renault Vel Satis, yet doing a similar sort of job. 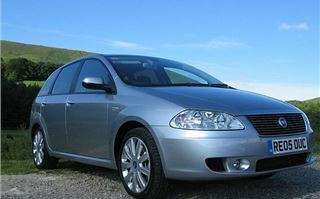 Engines are a pair of 1.9 litre Multijet diesels with 120bhp or 150bhp, as seen in Vauxhall Astras, Vectras, Signums and Zafiras, SAAB 9-3s and various Alfa Romeos. 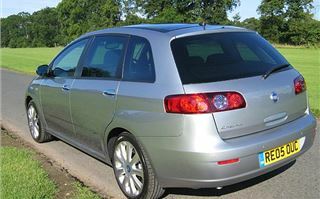 These are smooth, powerful and, with a combined consumption of 46.3mpg, commendably economical. Standard transmission is a 6-speed manual, with a 6-speed autobox top of the options list. ‘Coming soon’ will be an awesome auto-only 200bhp 2.4 Multijet, while petrolheads can have a 147bhp 2.2 twin-cam and, from next year, a 1.8. But it’s the diesels everyone is going to go for and that’s the type of engine FIAT expects to be under the bonnets of 85% of the Cromas it sells in the UK. So that’s what I test-drove. Finding a decent seating position isn’t too difficult. You can step into the car ‘bum first’, which is a big plus because it saves going through the contortions which osteopaths say are likely to lead to “disc involvement”. 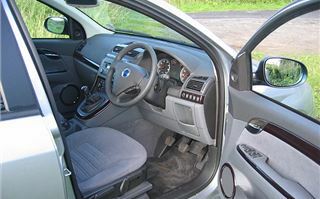 The steering wheel is height and reach adjustable. The front and back of the seat squab can be raised and lowered independently. You set the backrest angle with a knurled knob, which is always better than a lever. And there’s properly adjustable lumbar support. Out on the road the 6-speed box shifts neatly and positively. But the 320Nm torque doesn’t come in with such a wallop as in my C-Max, nor is there as much of it as from the latest Mazda 6. The suspension has quite a lot of travel, which is good for comfort even on the 18” alloys with 225/45 R18 tyres fitted to the Presidio model I was driving. Thanks to decent damping, it also handles and grips well with just a bit of float over severe humps. The inevitable trade-off is quite a lot of road noise on rougher surfaces. Obviously this would be reduced by the 17” alloys with 215/50 R17s fitted to Eleganza models and still further by the 16” alloys with 215/55 R16s on Dynamics. Impressive, though, that the car is comfortable and doesn’t torque steer or tramline even on 225/45 R18s. The 110 mile test route covered twisty, undulating country roads, villages and also a stretch of motorway where the car settled down to a quiet cruise-controlled 70 on the clock at exactly 2,000rpm. Experience is beginning to teach me that this is the optimum engine speed for economy with a modern diesel, though the engine will need to see a few more revs now and again to keep its fuel system and injectors clean. 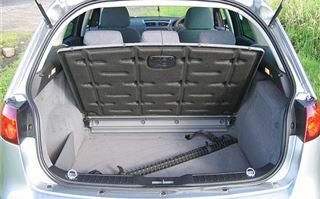 The standard boot is a big 500 litres with a useful flat storage compartment under the load floor. Flopped down onto the squabs, the substantial 60/40 split rear seatbacks don’t lie completely flat, but still leave a cavernous 1,610 litres of loadspace which is as much the average ‘D’ sector estate car. 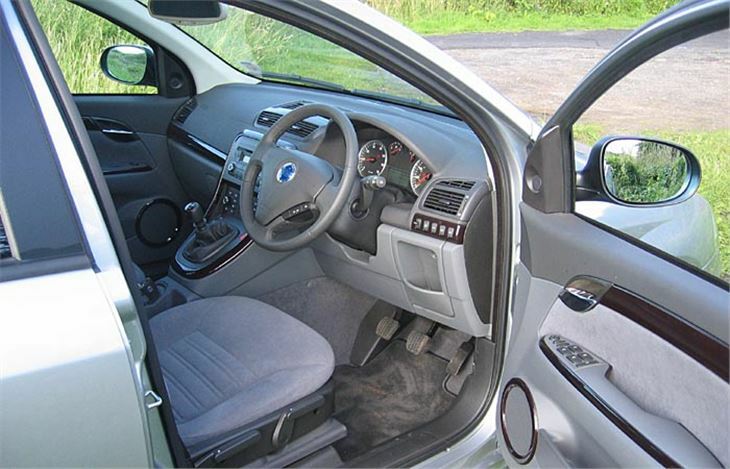 Rear seat access and rear seat room is as impressive as in the front, which obviously makes the Croma an excellent taxi or ‘private hire’ car. With list prices starting at £15,995 on the road for the 1.9 120bhp Multijet, and the possibility of a decent discount, it has to be quite a good choice. And in that job should prove to be a fine ambassador for FIAT. 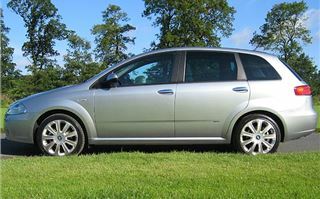 And, as a business car, it offers the same well-proven and well liked 1.9 diesel engines as GM does in Vauxhalls and SAABs, but with a different body. Not a conventional hatchback. Not an estate. Not an MPV. But very possibly exactly what a lot of people want.